The SCOOP, Scholarly COmmunication and Open Publishing, is a monthly column published to inform ATLA members of recent developments, new resources, or interesting stories from the realm of scholarly communication and open access publishing. 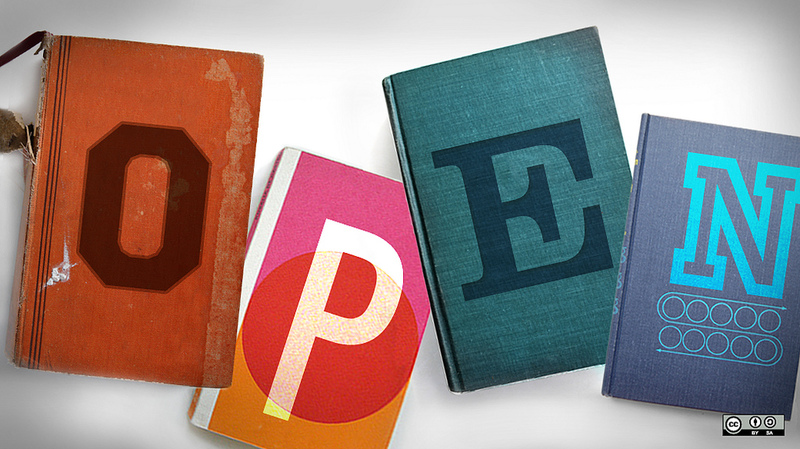 What is an Open Educational Resource (OER)? The first full week of March has been designated Open Education Week. The purpose of Open Education Week is to raise awareness about free and open educational opportunities that can help people at all levels of learning to meet their educational goals. To commemorate Open Education Week, we are providing an overview of what an OER is and sharing some resources for locating quality OER. ADAPTABLE and AFFORDABLE – OER can be adapted (e.g., modified, repurposed) by others for their own purposes. OER are also low or no-cost alternatives to pricier learning objects such as traditional textbooks and subscription-based homework sites. BEYOND BOOKS – When one hears the term “OER” they usually think this means textbooks. While textbook affordability is a primary initiative of the open education movement, OERs are more than just open textbooks. OER include both instructional materials such as lecture slides, videos, and simulations as well as learning objects such as problem sets and labs. CLEAR of COPYRIGHT CONSTRAINTS – To truly be open, OER must be licensed in such a way to allow for adaptation and reuse. Traditional copyright is all rights reserved, but license schemes such as Creative Commons are often utilized to relax copyright restrictions and permit sharing, reuse, translation, modification, and other adaptations of copyrighted works. OER Commons contains content from over 500 participants. Content has been vetted and fully indexed to ensure a high level of discovery, relevancy, and quality. Further, it provides an online authoring tool that allows you to compose, edit, and publish your work under an open license. MERLOT II is a large repository containing records of OERs created in various categories and medium. Materials are subject to peer review before included in the MERLOT database. Open Textbook Library, hosted by the University of Minnesota, provides open textbooks from various disciplines that are already in use at many universities and colleges. Open Access Resources in Religious & Theological Studies is a guide to open access resources in religion and theology maintained by Duke University Libraries. SPARC has a robust advocacy initiative promoting open education and OER. Two recently developed resources will help promote OER by dispelling common myths (see OER Mythbusting) and track open education legislation or other policy initiatives in your state (see OER State Policy Handbook). Open Washington’s self-paced 10-module workshop is a great tool for learning about and locating OER. A recent article in Inside Higher Ed looks at the current challenges and solutions in the open education movement. This article in the Journal of Academic Librarianship explores the notable library-lead and multi-institutional programs to advocate for and develop OER.